Spring has officially arrived and so has county fair season! Like many of you, I love spending time at our county fairs supporting our youth and visiting with friends and neighbors from parts near and far. These events build such a sense of community and provide a unique opportunity to observe the hard work of so many of our youth as they bring their projects and talents to the fair. Also, I hope you’ve noticed the wildflowers starting to dot the landscape along our highways. It’s a great time to be out and about in East Texas! The Deep East Texas Association of Builders came to visit us. 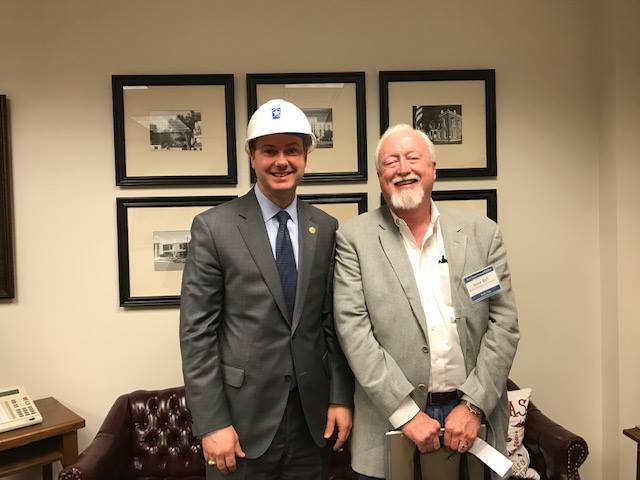 After another productive week in Austin, I wanted to give you an update on some recent legislative developments. I had a bill pass on the first day the House could officially vote on legislation this past week. The bill, House Bill 1244, eliminates the high-stakes end of course US History exam for high school students and replaces the test with the civics portion of the US citizenship test. A big win for students, parents, teachers, and every Texan who shares the belief that students need to grasp basic, foundational information about America’s rich and proud history. As a refresher, once a bill is passed out of the House of Representatives, the bill will go through the entire legislative process again in Senate. The legislation will be referred to a Senate committee, the committee will consider and vote on the bill, then it can be presented to the entire Senate for a final vote. Should the legislation make it through this step of the legislative process in both chambers without substantive changes, the bill will be sent to the Governor, who can either veto the bill or sign it into law. Another piece of legislation that passed this week was a ‘Sunset’ bill for the Texas Military Department. Sunset bills are the product of an extensive review process conducted by the State to ensure that state agencies are still efficiently performing the functions for which they were originally created. The Sunset Commission, which is comprised of ten members of the Legislature—five from the House, five from the Senate, and two appointed members of the public—reviews each state agency every 6-12 years and makes a recommendation as to whether the agency is still needed or how an agency can improve. As a member of the House Committee on Defense & Veteran’s Affairs, I was proud to vote in favor of this bill, as I support the Commission’s recommendations to not only continue the Texas Military Department, but also their recommendations on how to improve their efficiency and programs. 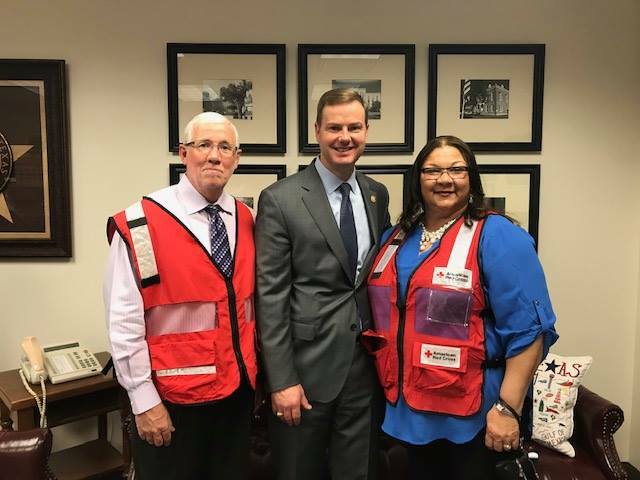 Our office was visited by these wonderful representatives from the Red Cross this week. I wrapped up the week by having a conference call with several district superintendents to seek their input on a number of issues facing the Public Education Committee. We talked about the importance of equitable state funding, school safety, and the unique needs of each district across the state. It’s always helpful for me to hear directly from those entrusted with educating our students about what’s working and what’s not. Whether it’s education, or any other industry or field for that matter, it’s always best for legislators to hear directly from those who might be impacted by bills making their way through the legislative process. The mobile office is on the road this month and looks forward to seeing you on the following dates, in the following locations: March 27th at the San Augustine County Courthouse in San Augustine from 9:00am-11:00am.